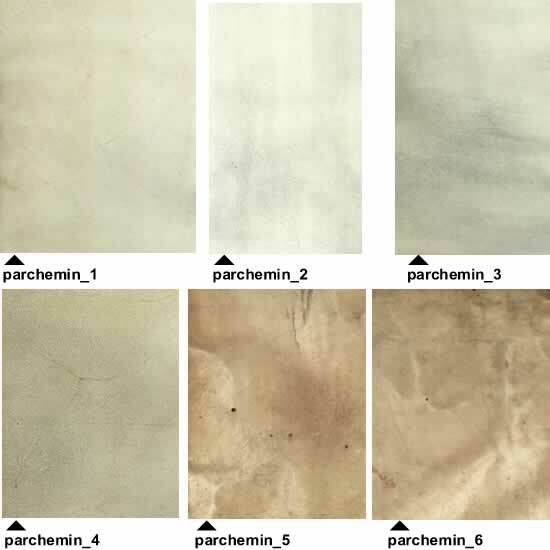 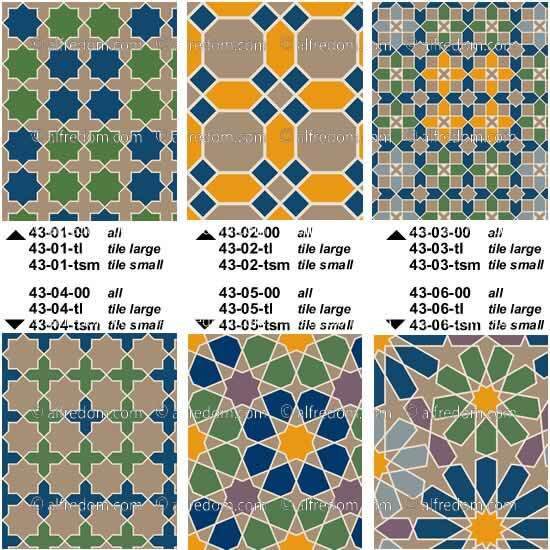 Plates 39, 41a, 41b, 42a, 42b, 42c, 43. 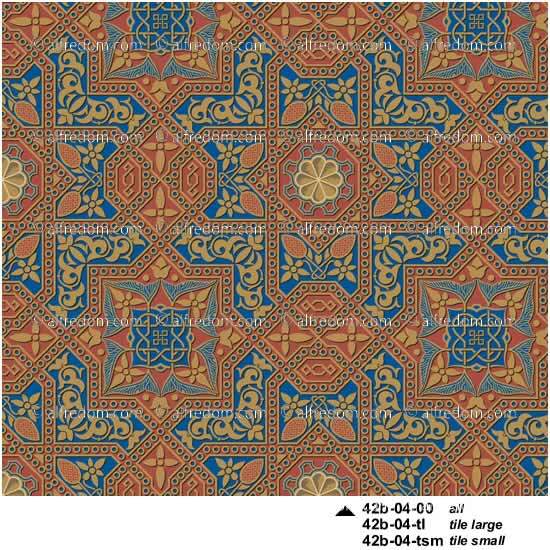 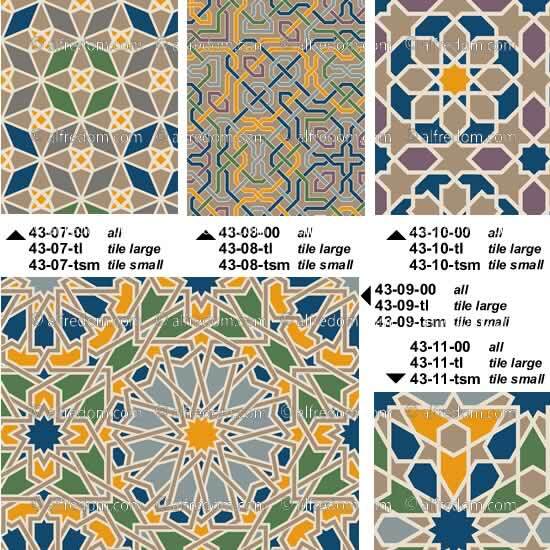 A collection of Moorish vector borders, background tiles and page decorative elements hand-drawn in eps format in Adobe Illustrator. 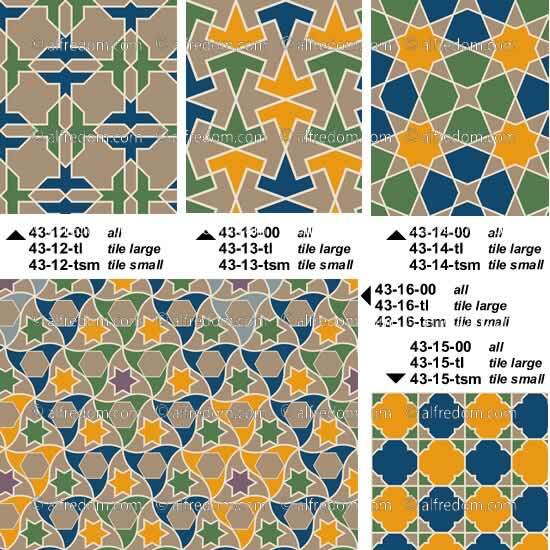 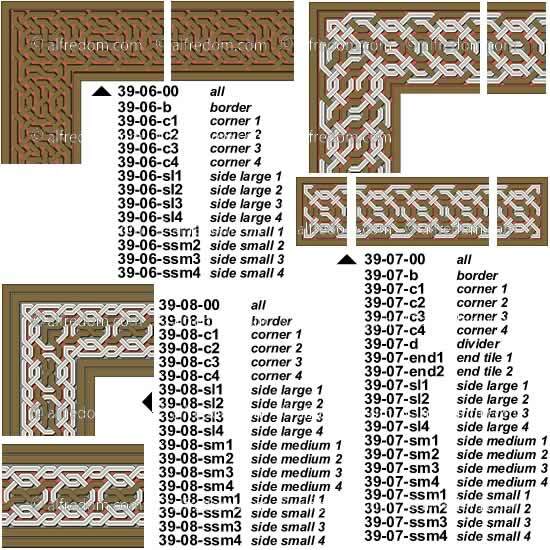 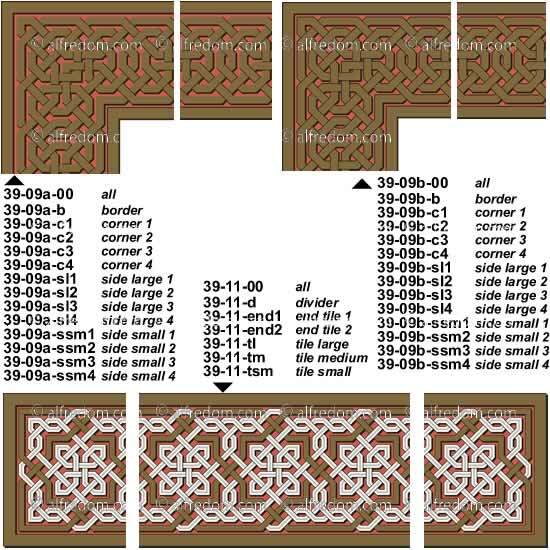 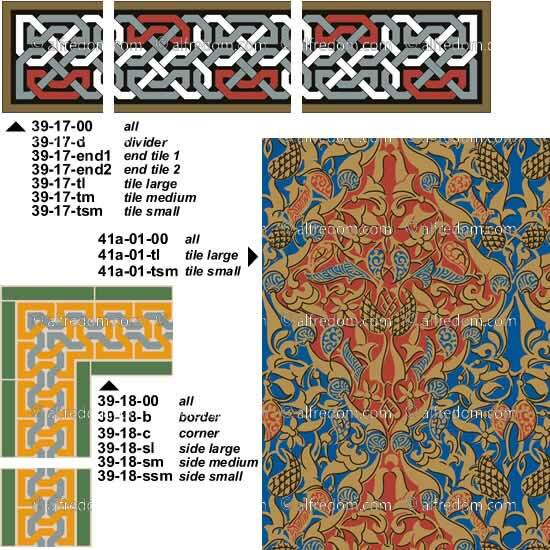 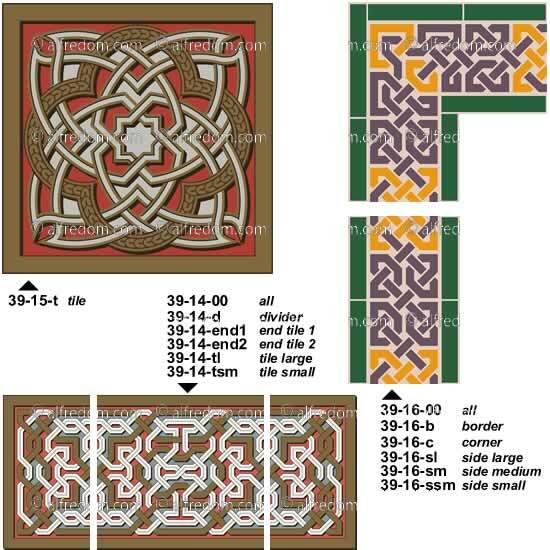 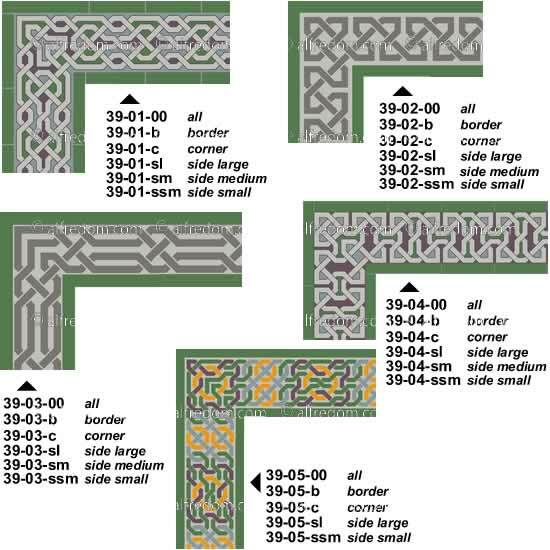 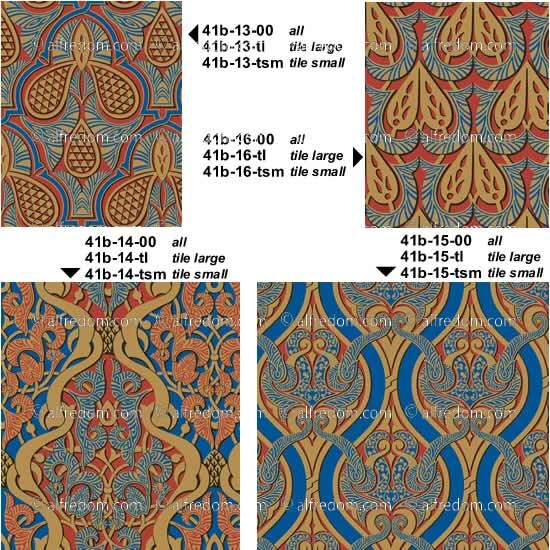 Based on the images of the plates 39, 41a, 41b, 42a, 42b, 42c, 43 of the Chapter 10 of the Grammar of Ornament. 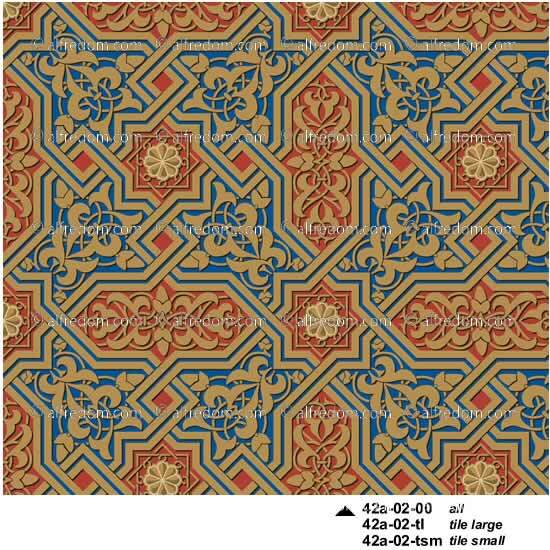 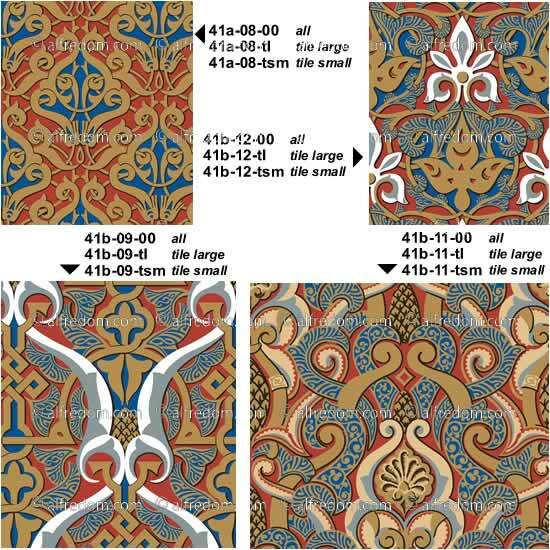 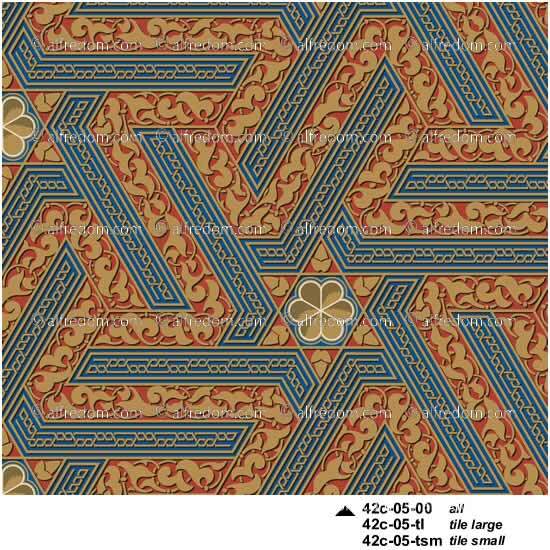 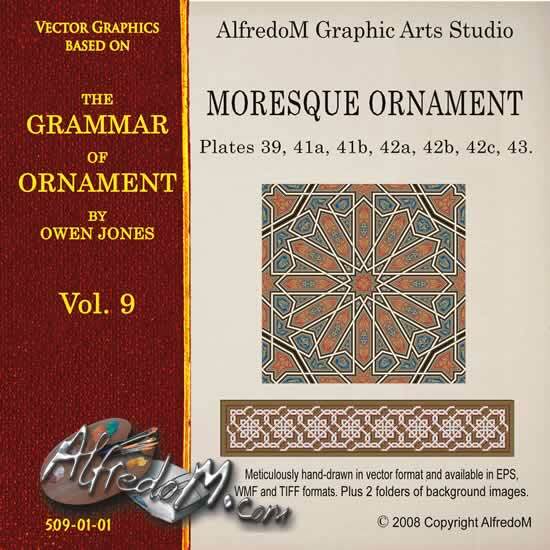 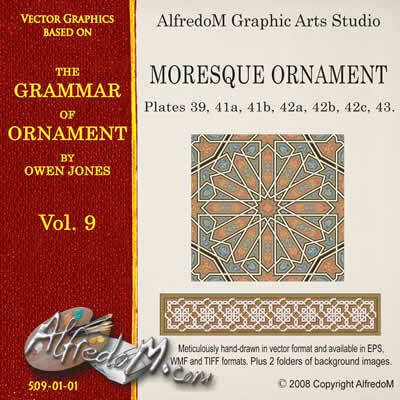 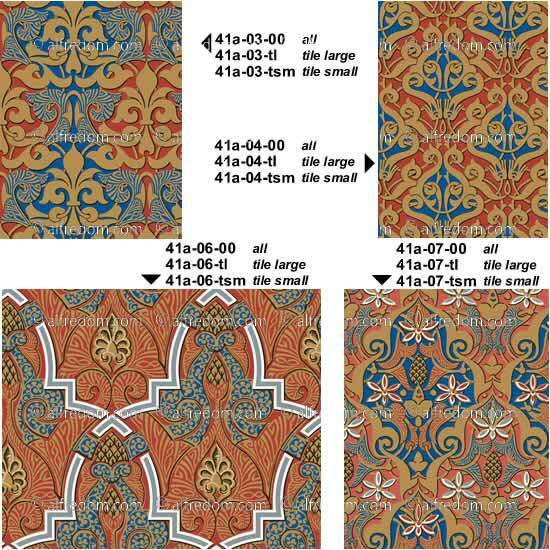 This volume is dedicated to the Moresque Ornament from the Alhambra, a comprehensive collection of graphics based on sculptured and painted patterns as well as repeating floor patterns. 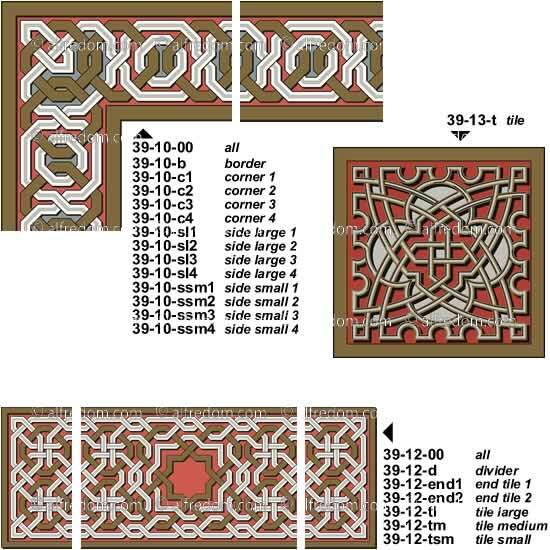 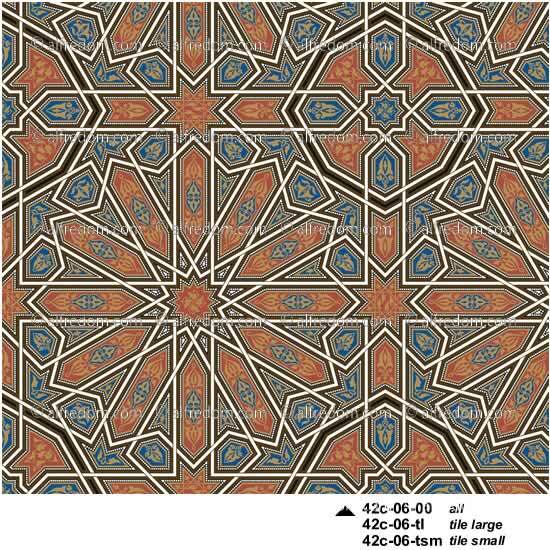 A large collection of borders, dividers, decorative elements and tiles; many of the tiles display impressive intricate arabesque design drawn for the first time in vector format for this collection. 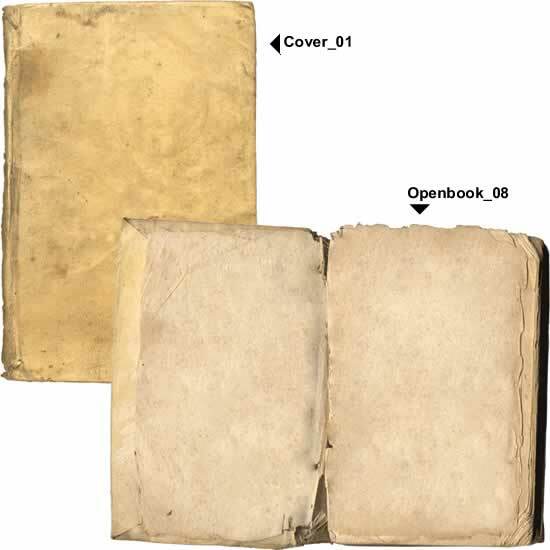 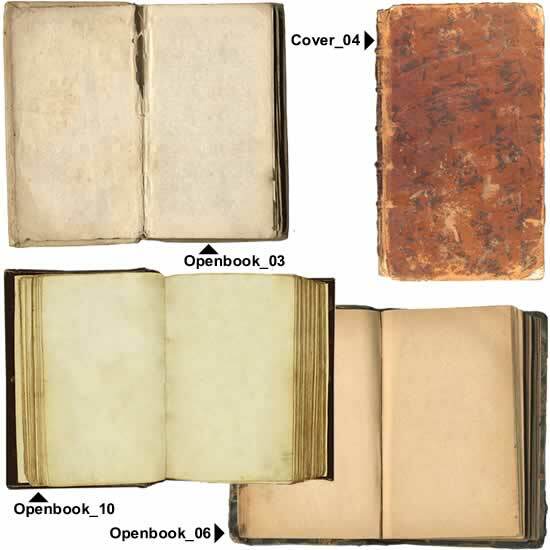 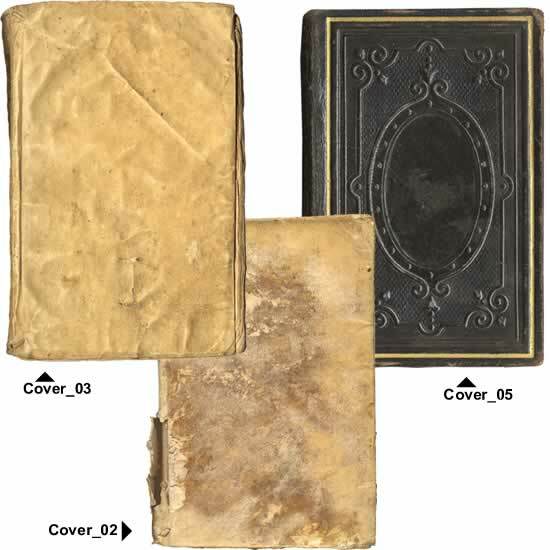 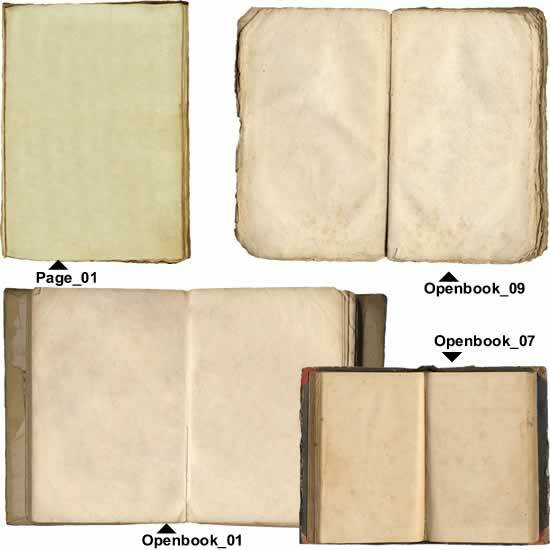 This specific Volume includes 263 graphic files in the EPS format.